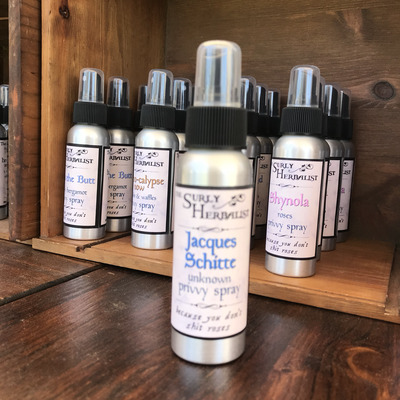 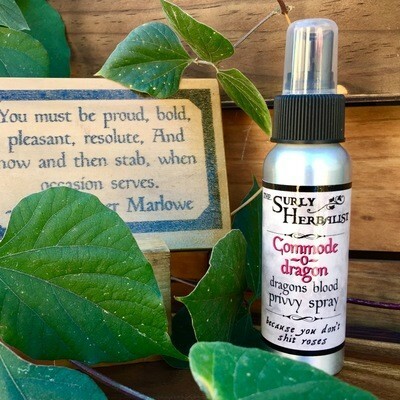 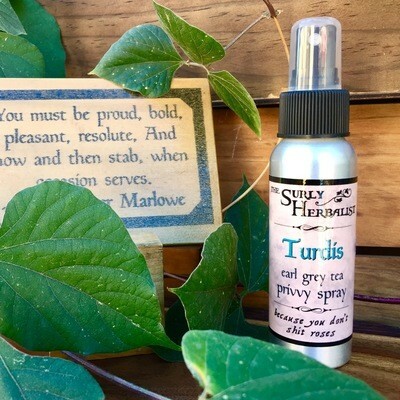 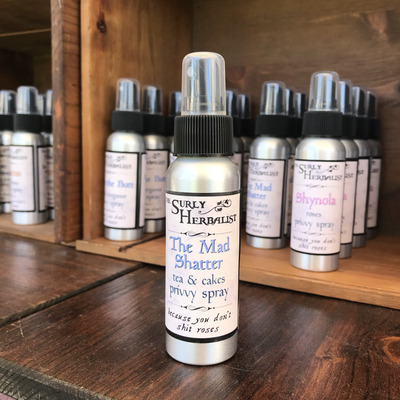 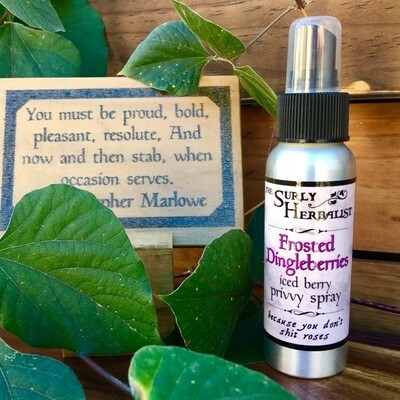 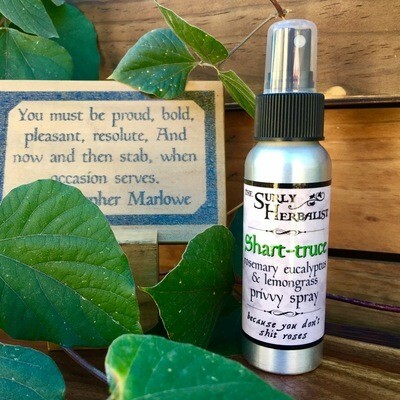 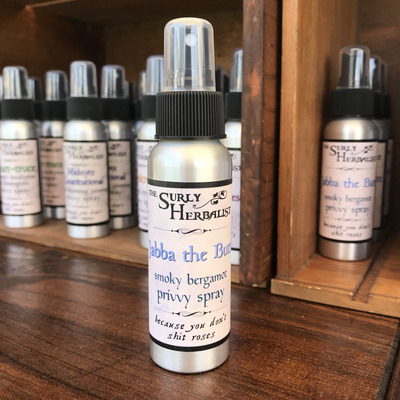 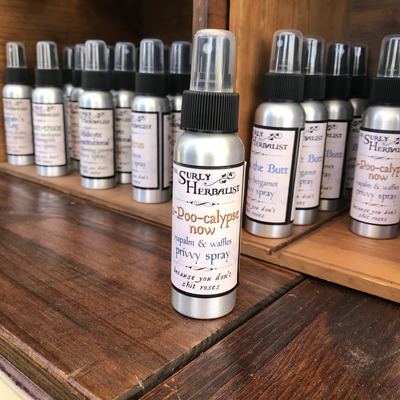 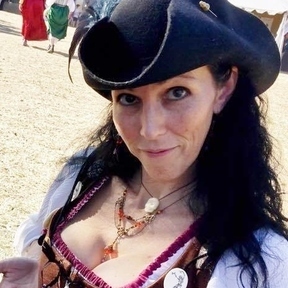 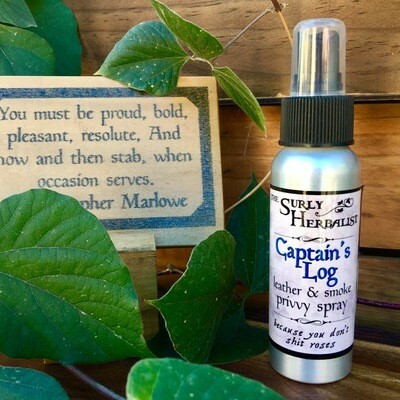 "Something is rotten in the state of Denmark", (more specifically, your bathroom)....here is how to make sure it isn't you.......The Surly Herbalist's PRIVVY SPRAY! 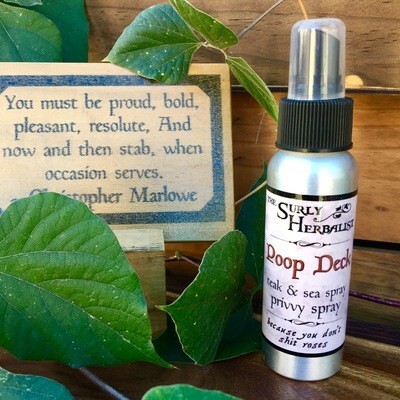 You simply spray the surface of the water in your toilet then you may sit and get down to business. 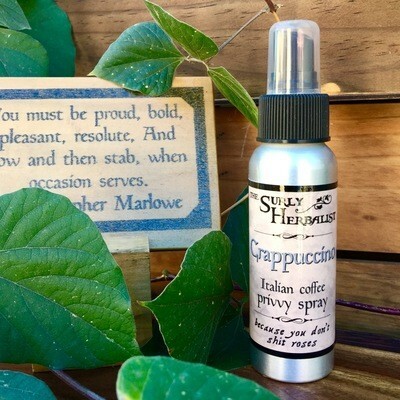 It couldn't be simpler.